My dog got a tick. I like the idea that it will last for 8 months. Very easy to put on the dog. Since putting the flea collars on my 2 cats, I have not seen any fleas nor do I seem them scratching anywhere near as much as they used to. Thank you! Great reflectors and no pests! This product has worked well for my cat. Less costly for a product that work! No live ticks and no sticky fur! We have three dogs and we put the collar on two of them . I think they work we have not noticed the dogs scratching or biting at themselves. This product is excellent and easily applied. This product is super! Great for keeping my pets pest free! 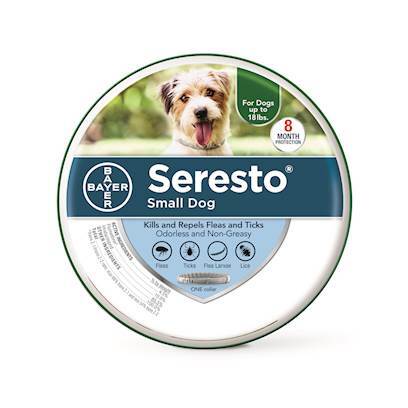 The Seresto dog collar does not work. Every pet owner should purchase this collar !!! This product works great for dogs with thick coats. so far no fleas or ticks! Works great and no MESS! Great value and works well. Seresto works just like it says it does. Didn't work very well for us. This Product worked for less than 1 month.